The smell of Christmas on St Helena. Alex and Angela Henry growing Christmas lilies their home in Rock Rose. What is the smell of Christmas? For many, Christmas scents may be mulled wine, roasted chestnuts or that real Christmas tree smell (sniff). For those on St Helena it is the Christmas Lily aka Lilium longiflorum fragrance. Nothing signals the festive season or completes Christmas home decor better than a bouquet of these elegant blooms wafting their sweet heady perfume throughout the house. 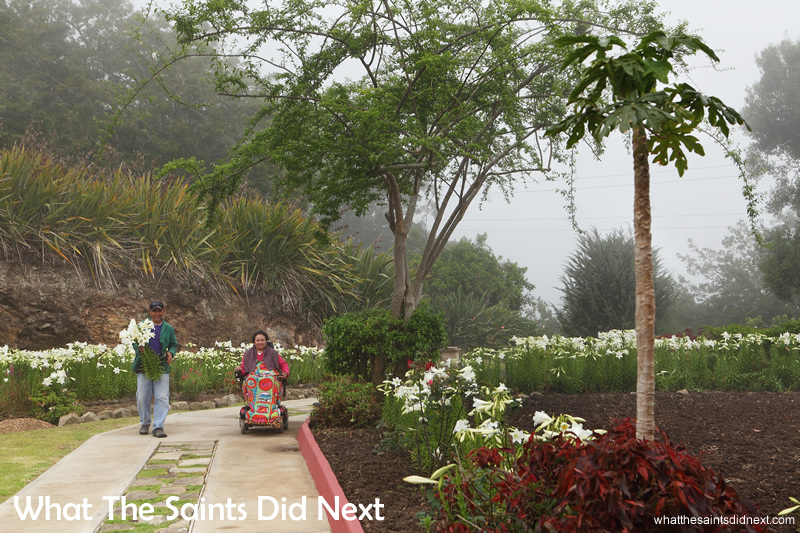 The St John’s Christmas Lily is the smell of Christmas on St Helena. 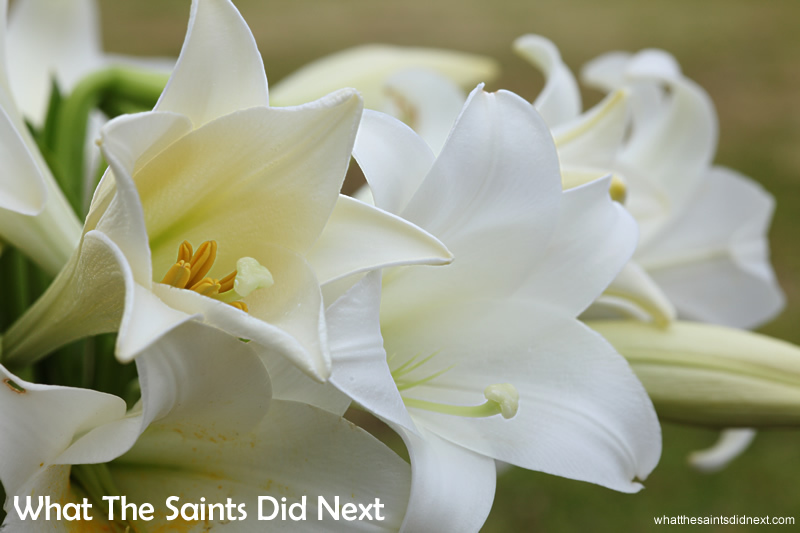 They are aka as Easter Lilies, Trumpet Lilies and White Heaven. They can grow up to a metre tall and each stem can grow clusters of up to nine buds with a spread of 30cm. To get ourselves a bunch of these gorgeous Christmas flowers, we took a trip in early December to Rock Rose where one of the island’s suppliers lives. His name is Patrick Henry, although everyone on the island calls him Alex. Alex checking the lilies in his garden. The smell in the air is amazing. Alex’s home is nestled within a forest where Christmas lilies grows abundantly in flower beds set around a manicured lawn. The lily garden is infused with their intoxicating freesia-like fragrance. “It’s best at night when you step outside, everything smells so sweet,” Alex tells us. Alex’s lily garden. The plants are all flowering in time for the Christmas demand bringing that Christmas smell to St Helena. His pet dog barks lazily as we follow Alex to select blooms for cutting. “I grow over a thousand bunches or more for the Christmas season,” he says. This venture began, remarkably 14 years ago from two humble bulbs that were the remnants of the old garden plot Alex’s house is built upon. The yellow anthers will shorten the life of the flower if they aren’t removed. These lilies make beautiful Christmas floral arrangements. This process also prolongs the life of the blossoms and prevents any fluffy pollen staining tablecloths and furnishings. Alex and Angela enjoying their amazing Christmas Lily garden. 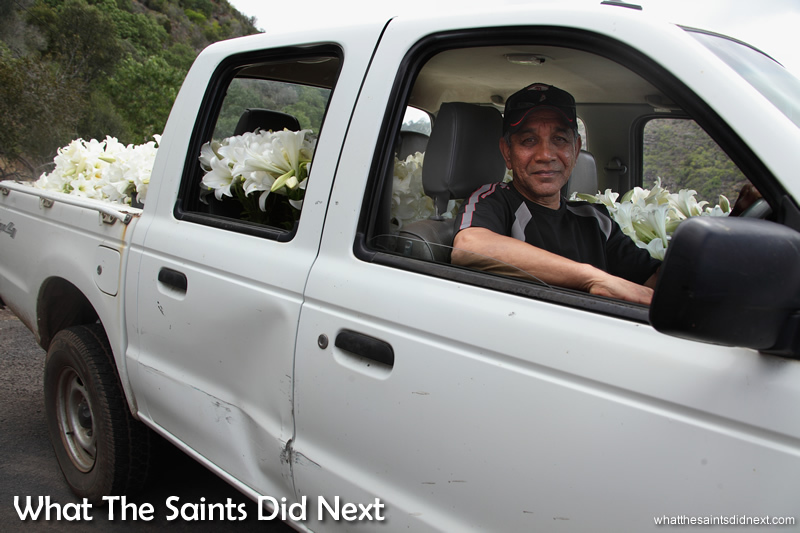 Alex on a Christmas flower delivery into town, the truck is fully loaded with lilies for sale. 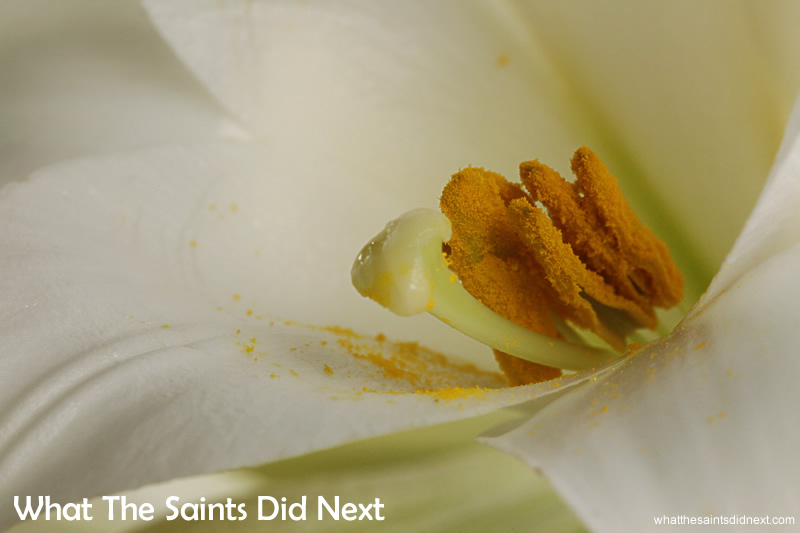 Christmas lilies are more widely known as Easter Lilies, Trumpet Lilies and White Heaven. 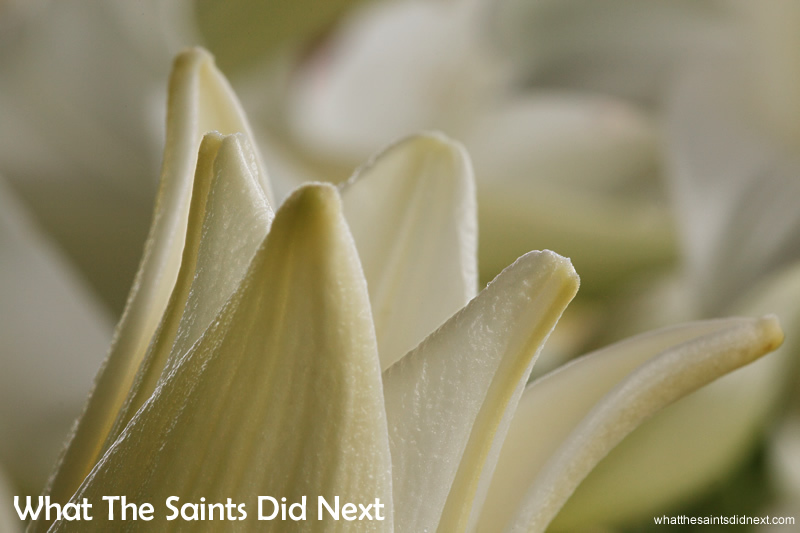 We call them St John’s Lilies on Saint Helena. Reaching up to a metre tall, each leafy stem can yield clusters of up to nine buds and have a glorious spread of 30cm. 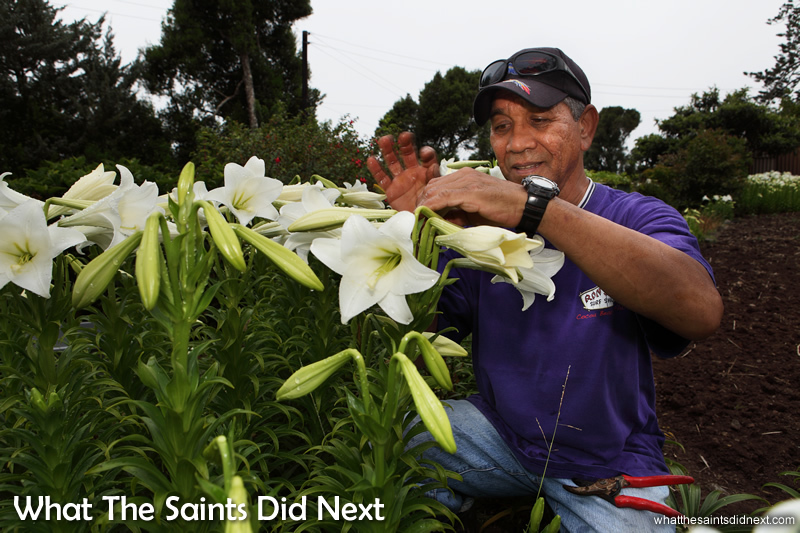 The Christmas lily aka as the Easter lily brings the smell of Christmas on St Helena. The smell of Christmas on St Helena. 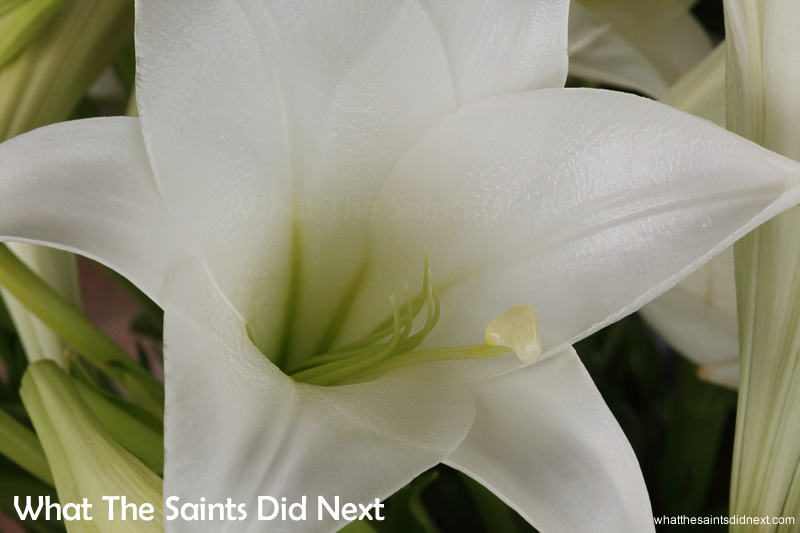 Christmas lilies are more widely known as Easter Lilies, Trumpet Lilies and White Heaven. 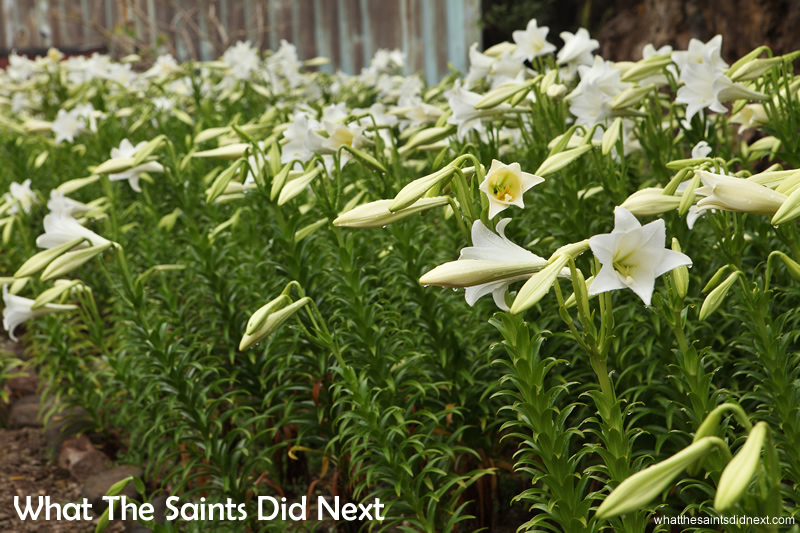 On St Helena they are also called St John’s Lilies. Reaching up to a metre tall, each leafy stem can yield clusters of up to nine buds and have a glorious spread of 30cm. Alex’s flower stocks are usually exhausted by the Christmas week, triggering the whole process to start again for next year’s crop. And, what is Alex’s motivation to do it all over again, is it the money? “No, I just do it for the love of seeing them grow,” he answers with a smile on his face. 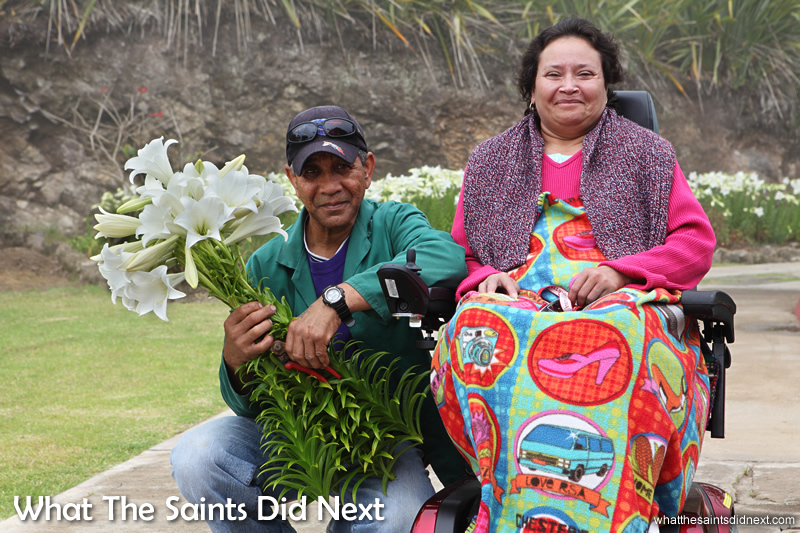 Alex’s St John’s lilies really does bring the smell of Christmas on St Helena. Fact: Christmas lilies are extremely toxic to cats and can cause kidney failure. Don’t bring lilies into a home with cats. Sadly, since posting this story, Angela passed away in June 2015. Our condolences to Alex.